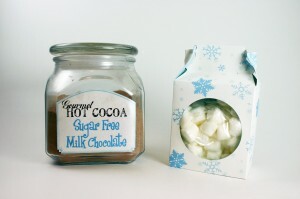 A couple years ago I created home-made gifts of cookies, wrapped in a box with some hot chocolate and marshmallows. I stored the marshmallows in the hot cocoa and by the time I gave them away they were covered in the cocoa dust and looked like… reinndeer pellets. 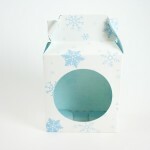 So I’ve developed this cute little box. 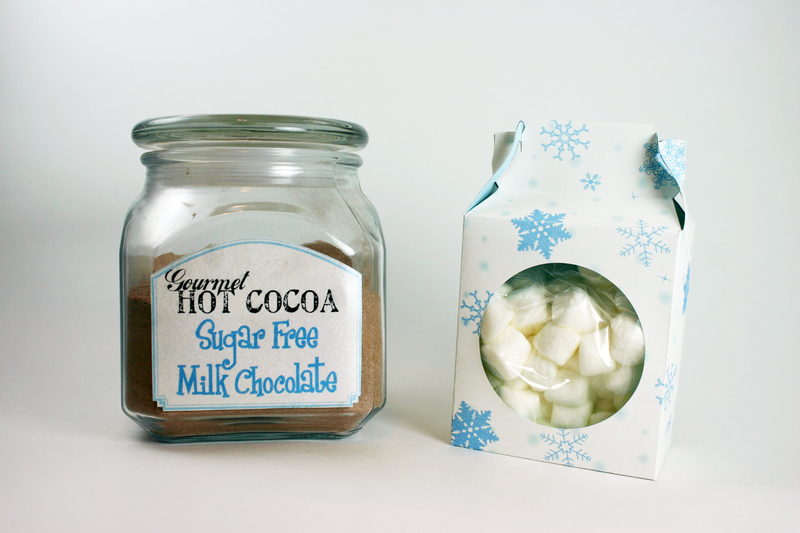 Its super easy to make, pretty small, and is the perfect way to hold marshmallows for hot cocoa gifts! 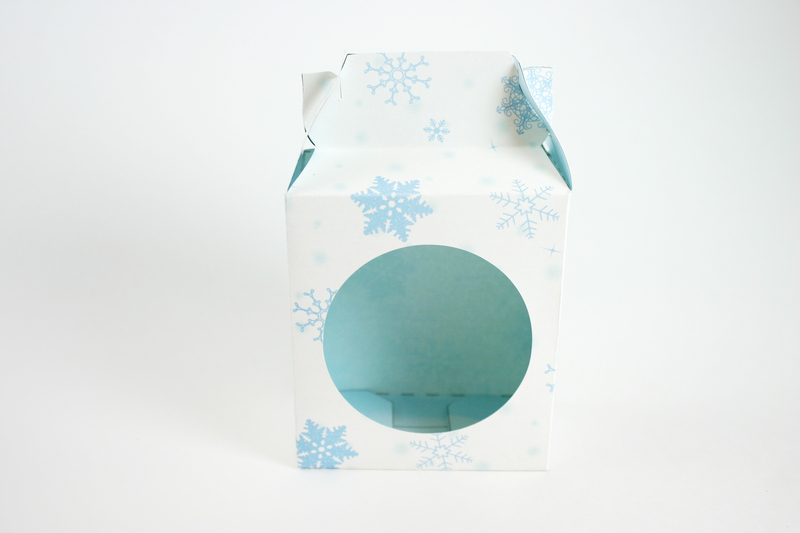 I put the mini marshmallows in a plastic zip sandwich bag (so they don’t dry out) and then tuck the bag into the Snowflake Box. 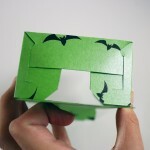 You could also add some plastic sheeting over the window and put candy in it instead. 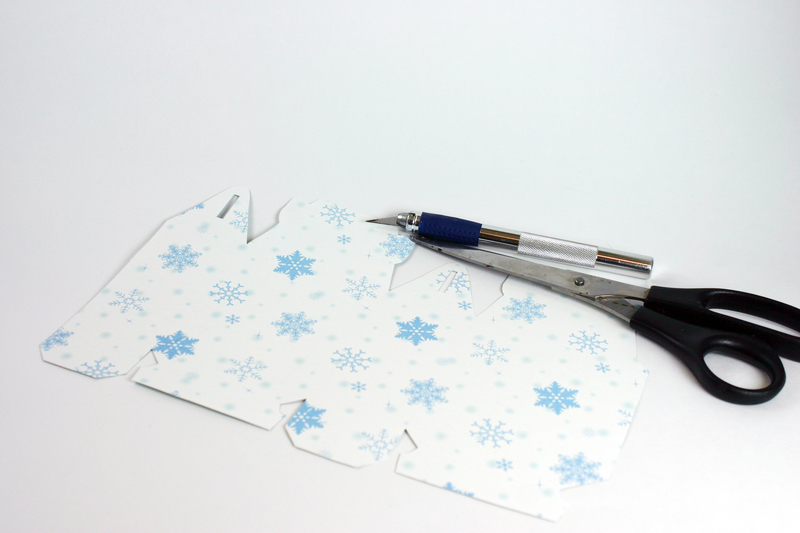 If desired, use a craft knife to cut out a window in the front of the box, following the guide lines. Glue clear acetate over the window from the inside if desired. 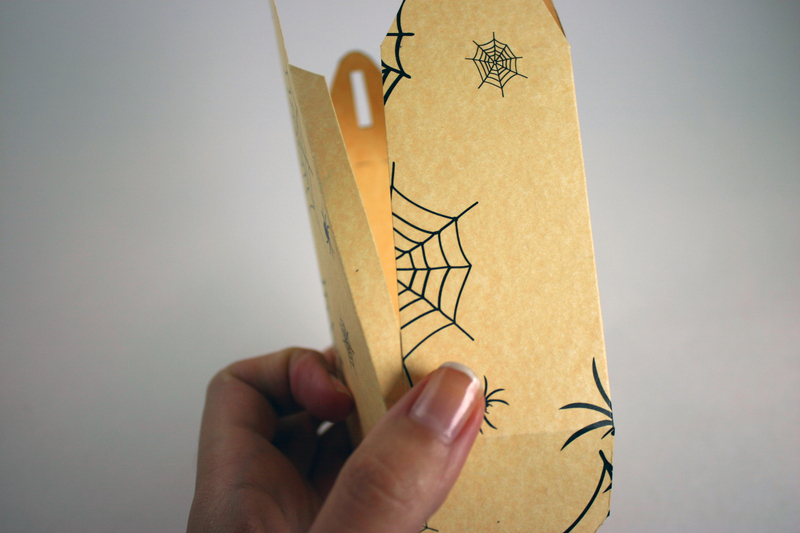 Use a dab of glue, or a piece of double sided tape to adhere flap A to its counterpart on the other side. Fold the shortest flaps on the bottom in. 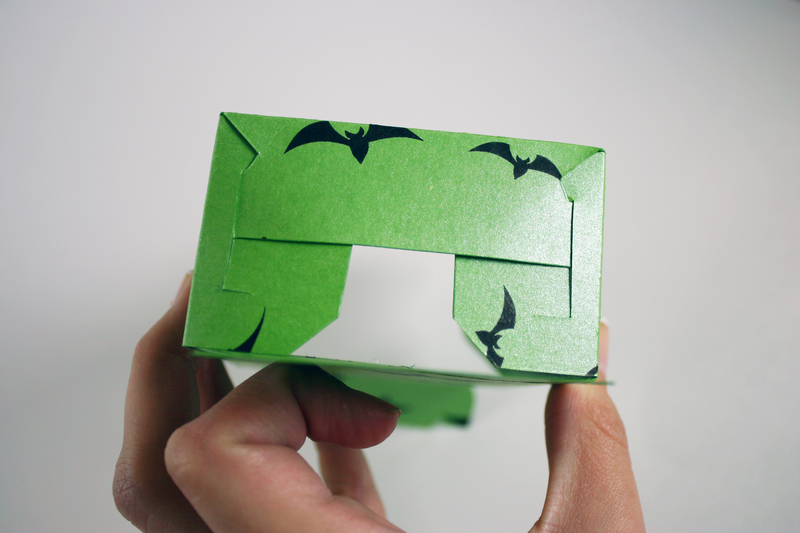 Fold the longer flaps in, one at a time. Securing the ends of the longer flaps by sliding their corners through the slits in the shorter flaps. That’s it! I’m stocking up on them already. 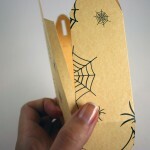 I’ll cut and score them all- then store them flat and use as needed for teachers, co-workers, friends and family! So cute! I’m having a ‘think pink’ party on my blog and I’d be thrilled if you’d link this up there!